This topic contains 47 replies, has 8 voices, and was last updated by Rich Blazeski 1 year, 9 months ago. I m a bit desperate, I need your help. Everything started last week on Monday morning, I woke up and had a pain in my big toe joint, during the day got worse,over the night it got worse and started to swollen, so on Tuesday I barely could walk during the day, in the evening I used ice all the night and the pain was good to deal with, but the swelling remained, the biggest pain was under my big toe, on the ball of the food. also present was redness. the kidney function test was in normal limits. Rest of the values were normal, Aslo, VSh,etc. they also found in my nose Staphylococcus aureus, and in my throat streptococcus beta hemolytic group c.
In my urine all the values were normal, but there has been detected Calcium oxalate. I took Ketonal Retard from Wednesday to Sunday, on Saturday I started to have a similar pain in my right food in the same place, but no swelling and redness and not so painful but still present today. the pain in my left foot still there but at a much lower level, but no swelling at all. I m 31, 64 kgs, with a clean diet, not too much alcohol, few beers per week(4,5) not every week. no soda, no processed food (only sometimes) no one in my family had this issue before. one of the doctors that saw me just looked at my blood results and said is gout, another told me that he thinks he s not. honestly, i don t know what to do, I didn’t eat for a week, can’t sleep. I’m very stressed. can anyone help with an opinion? what do you think? is it gout or not? sorry for my English, is not that good, I’m not a native speaker. Discuss if you have gout. Or, a different type of arthritis. It is most likely to be gout. But, you should return for another uric acid blood test once your symptoms have resolved. Because, uric acid in the blood can fall during a gout attack. As dissolved uric acid moves into joints as crystals. You also need to get gout strength pain relief as soon as you can. Your Ketonal Retard should help with this. It is a Non-Steroidal Anti-Inflammatory Drug called ketoprofen. But, it is unlikely to be strong enough at Over The Counter strength. So, see a doctor or pharmacist about something stronger. In my experience, gout pain resolves better if you can stay mobile, with gentle exercise. Also, opinions differ, but I believe gentle heat is better than ice for gout pain. 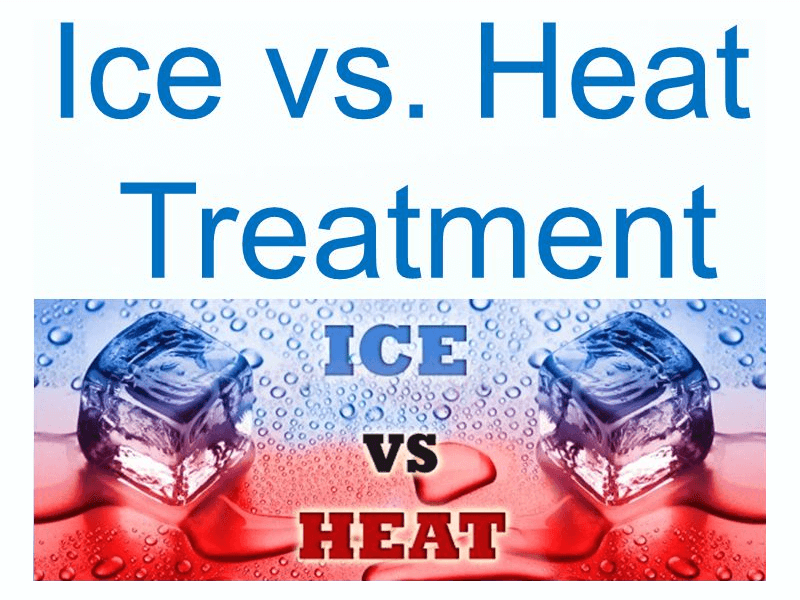 Do you treat gout pain with heat or ice? What would you think if after 2 weeks from the blod test during the atack the value of the uric acid, would be the same, around 5? will you exclude gout,or not? There’s no point in guessing about test results. So, all I can say is, it’s too high, irrespective of gout or not. So, as nobody suggests, now is the time to think about lifestyle improvements. You said: “i m 31, 64 kgs, with a clean diet, not too much alchool, few beers per week(4,5) not every week. no soda, no processed food (only sometimes)”. But, that’s not necessarily a healthy eating plan. My absolute minimum standard for healthy eating is the DASH diet. But, I much prefer Mediterranean style eating plans. These are not gout diets. But, they form a good foundation for healthy lifestyle, that can be tweaked for better gout control. At this stage, whether it’s gout or not, you have to assess if your diet is really “clean”. Because, high uric acid is also associated with a host of other diseases. But, most diseases respond well to real lifestyle improvements. So, if you want a personal healthy eating plan, look at How to start your Personal Gout Diary. Or, we can just wait for your next blood test result. While 4.4 and 5.6 are equally close to 5, they are very different numbers when it comes to gout. I don’t think you can absolutely rule out gout based on blood tests. It’s possible you might be suffering from gout even if you test under 5.6 twice in a row. But I guess gout would be a good bit less likely if your results averaged 5.4 rather than 5.8. If your doctors aren’t sure what you’ve got, you might end up getting joint fluid tested as well as blood. And without losing sight of the importance of getting a good diagnosis, I also think more could have been done to help you with the symptoms. I think you should try to eat right even if you don’t feel like it. You can make gout worse by not eating enough for too long. You might also want to seek help specifically about the stress and insomnia even if these are only secondary symptoms because you’d have benefitted from sleeping more and being more relaxed regardless of what caused your distress. Well I rulled oud another blood test this week,after 15 days, the result for Acid Uric came to be 5.9 mg/dl, I also found my file from exactly two years ago and then at routine control I did check the acid uric which was in normal values and from what i remember was for sure under 5 mg/dl,what could have happened meanwhile?// still issues are here now,so I don t know how much it matters that value anyway since is two years ago. anyway i don t know yet the exact value as I am waiting reply from the clinic I performed the tests. besides that I lost about 3.5 kgs in weight due to the stress..and lack of food, definitely i don t know what to eat..i have 60 kgs now,at 1.75 cms height/ I m skin like a goat..what to eat..i gave up meat, i ate acutally 3 times/meals in 20 days. Milurit -100 mg for 20 days and after stop it and check again the level of uric acid, from what I understand is same with Allopurinol. Aflamil-100 mg for first 2-3 days when I start Milurit. Also told me to stop Milurit if after 2-3 days I start having pains. Besides that I still have pains after 20 days since started.not big but still there. some days good some days better. didn t take any medicine as the pain is tolerable. What do you think ? to start the medication with milurit for 20 days? is this good? as ussualy i saw that this is taken for longer periods. i would also wanna try some homeopat things. maybe this could help me go below 5 .is this possible? besides that he told me to avoid fish and organs and meat soups. in rest i can eat whatever i want. was very short, didn t give me a lot of attention, told me just to not worry is ok, although i was about to cry because of this problem which it is overwhelmed me. some advices would be appreciated..? You need to eat. And you need to eat enough of everything your body needs. The longer you don’t eat right, the more dangerous it is. Not eating enough can raise your uric acid. It can also worse your symptoms. If you don’t know what to eat, there are dieticians. But any reasonable person you know could help, especially if they’re vegetarian or vegan. And when I say you need a lot of each type, I really mean a lot. A decent amount of yoghurt would be half a liter per day for instance (of course you don’t need to eat that much if you also eat other foods belonging to that type, be it lentils or cheese). If you’ve been starving yourself, starting with hummus and pita would be nice for example if you like eating that. Just don’t forget to eat a lot of fruits and vegetables as well. What to choose really depends on your culture and on what you like. And of course you need to make sure you’re drinking enough water! Yes, Milurit is normally taken for longer periods. I suppose you’ve been told to take it for 20 days as a kind of test. At this stage, more information is needed. It doesn’t mean you won’t be needing the drug afterwards. In fact you might possibly need a larger dose. Getting more tests is good in my opinion. Your old tests results are relevant too. Last but not least, do seek psychological help if you’re not eating or sleeping or simply if you feel like you need someone to talk to about your problems. Needing psychological help doesn’t mean you don’t have a real problem. It simply means your real problem is hard on you. Hi man, thank you for your reply, I will post the exact value from two years ago when I ll have it. Aas a matter of fact I suffer for depression ffor about six seven years, most of the time ii m depressed, I refused medication when prescribed by psychiatrist, I thought that I can manage it, but at this very moment I see no more escape, everything is black for me, it suffocates me..these days I was thinking to suicide, I hope not to end up there. Regarding eggs?can I eat eggs?and if yes?how many per week?as I like eggs..vegetables I understand that i can eat everything. And read about that if you boil meat looses most of the purines..and you can eat it boiled..is it true? From what age do you fight gout? How many years? Can be depression the cause for my gout? Do you succeed to have a nirmal life?like having a job?a family? I want to make a family, but how can I do it now?will I be able to support it? I have a milion of questions. I read that first attack doesn’t take so long..why mine do.. 20 days and still hurts. .in both legs. Eggs are like milk products products in that they give you proteins which tend to be lacking in plants other than the lentils/beans type. You can of course eat eggs but I didn’t mention eggs because the problem is that you’d need a whole lot of eggs (like 30 per week which is in my opinion too much) if you were to rely on them to replace meat without eating either milk products or the lentils/beans type of plants regularly. But as a complement, eggs are fine. Eating meat is better than being malnourished so if you can’t or don’t want to eat a decent vegetarian diet, just avoid what your doctor told to avoid as well as processed meat if you don’t know what’s in it and stick to things like steaks. So far as I know, depression doesn’t cause gout but could certainly have triggered gout if it caused you to change your eating or drinking habits for instance. Thinking about suicide sounds like a warning sign. You can’t solve all your problems at the same time of course but I hope you have someone reliable in your life or a good doctor you can discuss this with. I have gout in my family. 31 seems like a typical age to start having attacks. If you can tolerate the drugs, it doesn’t have to be bad. Even without treatment, you wouldn’t suffer from gout all the time. I never tried to lead a normal life (look at me typing a long message to a stranger on the web!) but I’ve known people with worse gout than mine who have been leading midsize businesses, sending their kids to college and so forth. Finding the right drugs, testing them and so forth takes time but in spite of its painful wakeup call, gout is typically easier to manage than things like diabetes or heart disease. If gout is the cause of your pain, going by the blood tests yours is pretty mild and should be easy to fix. In the meantime you may be needing a stronger anti-inflammatory treatment than 100mg Aflamil so ask your doctor about that if you’re not satisfied with the effect of that pill. In answer to your last question, gout attacks can take a long time to resolve, especially without colchicine. But you’ve just been presecribed new drugs so now may not be the best time to test yet another unfamiliar drug. Even without treatment, you wouldn’t suffer from gout all the time. nobody, although this is true to some extent, it is not ideal advice especially with someone who is already suffering from depression. Gout attacks are not just a consequence of high uric acid and other more serious issues can arise from high uric acid as time passes which can lead to even further black hole depression. Rich, I am not suggesting you take any gout reducing medication but it may be something you should consider more seriously rather then trying to spend all your life worrying about diet and any general pain from potential attacks. At the end of the day worrying is in part a form of depression and if your depression leads to thoughts that you have suggested (suicide, family, career, etc) then this in turn can cause you to turn to bad habits (alcohol, relying on anti-depressent medication, not leaving the house, etc) which may indeed cause further attacks. I do not personally have depression myself but I am very aware from exposure to lots of people who do have it how the manifestation begins and how it develops into further complications (OCD, Weight gain, motivational loss, etc.). Please keep updating us with your situation and we are all here to help. Remember, everything is treatable by way of side affect balance. @DQ: Rich has just been prescribed allopurinol. But as you know, the initial dose is low. It s a tough time for me at this very moment, I m struggling to accept this new issue. still i have few questions, maybe you can help me to understand what happened. 1) for how long you have to have a high uric acid in order for cristals to form/ or start having gout attacks? I ask that because I am 90% sure that 2 years ago at a routine check I had a normal value, under 5. and I don t understand what could have happened meanwhile. I didn t took drugs, didn t drink, or eat a lot. like to say this could influence. 2) shall i postpone one month for Milurit in order to see if diet can work for me or not? at least i want to try before starting to take drugs to see if i can lower u.a or not by diet. I think this make sens..at least for me. based on your experiences, what do you suggest? 3) how can i determine wheather this is because genetics or is a secondary thing that affected my u.a levels. why do i ask that is because exactly two years ago when i did that routine check was because i lost weight about 3 kgs..without reasons. and in the same time i started have a low pain in my left leg all along the leg, became a bit more tight/rigid leg/ i did that blod test and also did an MRN at my head. everything was fine, and the doctor from there supposed is because i work in office and was related to my back, didn t do further investigations, as wasn t recommended. still i have today the same rigid left leg. doesn t disturbe me . but i can feel it when i walk. and stuff. ( the problem with the leg had it also my uncle, at the same age, but did pass over time..still bother him sometimes, but no issues there and he s over 60) could those two be related. ? as i said before i put a thousands questions ..what could have happened with me.how the metabolism worked good beforeand now for sudden the something is not properly right..
the doctors didn t ask me anything.. i paid a lot of money..on blod test/ consultations ..etc..and they just throw me out in 5-10 minutes.. take this ..and that s all..
i dont know i was expected more. to see what is the cause, what can be done to solve it, is it permanently..i ll have uric acid raised all my life. i am aware that nobody can t say that for sure..nobody can predict it, but at least try to..help me figure out some things..
once again, guys,thank you for your support, i know that all of you suffers/suffered in some points, and i feel like i m kind of selfish. or not sensitive to your pain, i m scared and thinking to myself only..but i m quite a good person. is not like that. The main issue as I see it is: do you think you could obtain and afford better medical care? If the doctor you’ve seen is realistically the best you’re going to get, I think you should simply follow their advice. I think you need a doctor to make a solid diagnosis because your blood tests are not typical for a gout patient. So I think there is a chance you might have a different problem. If you follow your doctor’s advice and it doesn’t help, the doctor should then be able use that information to move on to other treatments or order tests for conditions other than gout. But if you decide to be your own doctor, what will you do if your new diet doesn’t help you? If on the other hand you want to see a different doctor before starting a new drug, that makes more sense in my opinion. One problem with changing your diet is that it could possibly take a long time for the effect to become clear, especially if you are malnourished or losing weight. How will you know if your new diet is working? Can you get frequent blood tests? Are you willing to purchase your own testing kit? And how long are you willing to wait? Your blood tests for uric acid are low enough that if gout is indeed your problem, you might well be able to manage it without medication. But taking Miluric for a while would make the transition easier for you. Once you are free from gout symptoms, you would be able to stop taking the drug and see if a healthier diet is enough to keep your uric acid low. 1. I am no doctor however, crystals start forming once uric acid is high enough to hit saturation point (click the uric acid levels chart on the right) When these crystals do form, they still need time to accumulate in joints and cause problems. How long does that take? The general short answer is years. 2.This depends on your uric acid levels to start with. Generally, diet only can only help with gout sufferers who have ever so slightly raised uric acid. Stopping alcohol and certain purine rich foods generally drop the levels just enough to get you back into the safe zone without drugs. If you are past this margin significantly then diet alone will not help. You need to get your levels checked and only from there can you take an educated decision. 3. Genetic tests can be done to check your uncle and your DNA to identify certain links. I believe this will require specialist doctors / centres. I am not too sure on how it can be requested where you are and it may be costly. As nobody says, try and find a good doctor and get a second opinion, there are various other tests that you can do to help diagnose gout. Also remember, depression doesn’t help either and it is very important that you try and tackle this too. We are all here to help Rich. Good luck. thanks for reply, i ll be short,today i started to take first pill of milurit-100 mg, i will take it for 20 days as dr prescribed me, i hope i won t have hard side effects, recheck my u.a levels. and meanwhile try to find a dr to explain me why my ua level raised in the last two years. meanwhile i ll try to handle a healty diet as possible, i think i ll still have some small meals with meat. at least 1-2 per week-small qtys/ and try to have as many fruits/vegetables/eggs/milk/ and at least 2 l of water/day. i ll be back with info. i got the results in my blood test from two years ago,29.05.2015 and my uric acid at that time was 5.8 mg/dl, as the actual level that i found it in last three test last month (02.05-5.5, 04.05-5.59 amd 18.05-5.9), almost similar, so apparently there seems to be an issue, as i thought it have been under 5..but it wasn t.
otherwise i still have pain in both feet after a month and two days since i started to have pain for the first time..they alternates from left to right. i am on milurit 100 mg for 10 days now. doctor prescribed for 20 and do one more uric acid test . one more question, I found routine checks blood as i said even from 2012..3 or 4 tests till present and each time my total and direct bilirubin was high, can this be related with gout? related to gout checked all my family members..uncles, cousins, etc. no one had it..i m the luckiest one apparently. bilirubin is the result of removing heme from old red blood cells. When your bilirubin is raised it can mean that you have a quick turnover of red blood cells. This can be the result of a haematological blood condition (probably from birth) where red blood cells do not live long enough in the body and have to be removed when there short life ends. When these old red cells are broken down they release uric acid which in turn causes the total uric acid levels in your body to rise. As you know, when uric acid rises, gout becomes more likely to occur. What are your bilirubin levels..? hi d q, thank you for your reply. below you can see the values that I found during last five years. in 2012 after the checks the dr told me that he thinks is gilbert sindrom and i don t have to worry about that. still, I m trying to figure out what is the cause for my uric acid levels. in hope that whether is a secondary cause and I treat the cause I might get rid of this of u.a. one more time..the pain is still there at a low level, at a bit swollen sometimes. altough it s been over a month since has begun. and take milurit 100 mg for 12 days.ate only few times meet, no alchohol at all. they messed up a bit. once again. I’ve been reading this thread and haven’t chimed in yet but when I see the word “Bilirubin” in it, I perk up. High Bilirubin in the body could be the sign of a bigger issue, some of them Liver (or possibly Pancreas) related. Anemia may be a cause, but please make sure to get your Liver checked if you have excess Bilirubin, before you start presenting with Jaundice, even though thats a later sign. I’m going to pay attention to this thread. I’m very interested in it. PS-dq, check your topic on General Discussion, buddy. is there other checks for liver? I’m not a doctor but I’ve been reading and learning a lot about Bilirubin levels because my father is battling liver cancer and because of it, his Bilirubin levels are through the roof. Yours are nowhere near where his is, but then again, I don’t know what the number would be to raise a red flag. That would be a question to ask your doctor or your Rhuemotologist. I’ll just give you a number. Normal Bilirubin for a “normal” person should be less than 1. My fathers is 23. That’s for perspective. BUT, as I said, I don’t know what would raise a red flag for a doctor. Just keep up on it because aside from the brain and heart, the liver is #3 in order of importance to the body. Hey Patrick, sorry to hear that, I already asked today my dr, I sent him an email, I am waiting a response. anyway, sometimes I m thinking how perfect is the human body, what makes this kind of “errors” to appear.?! Not Sure Rich. I do know that with blood and lab tests, that the technicians only have a certain amount of time to test the blood samples. If blood sits for a little while, false reads can occur. If blood sits for a LONG time, the results can be really out of whack, especially the potassium level results. I’m not sure what can cause “errors” other than the only ones I’m familiar with….the human kind. I am about to finish my 20 days prescriptions of milurit, the dr answered my email today, but didn t give me any clue what to do next…?! he told me to re check the test blood and try to keep diet. shall I continue with this 100 mg of milurit? shall I just let it like that and check uric acid levels once at 2-3 months and see if it rises or keeps in the limits? I m very confused now..I don t know what to do. I don’t think we can replace a doctor. If you’re not satisfied with your current doctor, you should try to find another one. If you indeed have gout, I don’t think taking a small dose of Milurit for 20 days will be sufficient. But since the amount of uric acid in your blood is fairly low, I guess it makes sense to learn what you can achieve by dieting. Only your doctor can tell you what their plan is but the more you learn from blood tests, the better equipped you will be to make decisions in the future. If you want a faster cure, perhaps you could ask your doctor if you could safely take 200mg Milurit for 3-6 months. The doc., doesnt even want to speak with me, now he replied to my email and said in a confusing way that I shall take 20 pills of 1100 mg of milurit, monthly and have a diet, that was all!am I crazy?i don t know what to believe, again I paid for consultation and again I didn t receive any explanations, one month ago he told me to take milurit for 20 days and revert to him with the blood test, now he told me via email that take monthly 20 pills, for how long?what diet to keep?what are the causes of my gout? I told him via email that I am very stressed for the last two year and a half, that I lost 3 4 kgs 2 years ago with no reasons, and I believe was because of stress..what he said..? Nothing! Is it stress a possible cause? I don t know?but I would like to know whether gout is because of genetics or something else..I spent a lot of money ..and no results, no answers. .pain still thereover 1 month and 7- 8 days..started to lower but still present. Today I played to casino and I lost money I had very high emotional stress and when I left casino I felt the pain in my foot although all the morning was really [email protected]?!.. This month I m going to move in Luxembourg, I hope I m gonna find a good doc there to help me with at least some explanations. Meanwhile didn t I ate few times a little bit of chickens breast, is that allowed? I m thinking to start eat like 3 times per week at lunch small portions. What do you think? You are asking difficult questions about stress and genetics. What we know is this: if you have gout, it is because there is too much uric acid in your body. We don’t know why exactly. And solving the problem usually takes several months (and sometimes more). Taking Milurit for several months should lower your uric acid long enough for the pain to stop. But since you are only taking 100mg Milurit daily, you also need to be careful about what you are eating. You doctor told you to avoid some fishes, meat soup and organ meats like liver so chicken breast is allowed. You are right to eat only small portions of meat. Future blood tests will tell you if you are taking enough Milurit and being careful enough about what you eat. If the blood tests show uric acid at 5 or less several times but the pain does not stop, the cause may be something other than gout. You also need to understand this: not eating meat and taking Milurit does not stop gout pain immediately. Gout pain may stop and start again many times and it may be very difficult to understand why. So for several weeks or months, you may also need to use an anti-inflammatory drug such as Aflamil to stop the pain. If you see another doctor in Luxembourg, bring the results of all your blood tests along with the precise dates when you started and stopped Miluric. Well I think is gout, what else could be in the beginning I thought that might be because of the stairs I went up and down to t5th floor at my work, at least 3 times per day or 2 that would mean like 30 floors per day at least for about 4 months, but then I was thinking that the pain that I had it couldn’t be so bad because of that..although it was only for a day really painful, this week for instance I walked 50 kms, the pain is ok, doesn t bother me too much, but is there and I don’t know what to say..I m trying to accept this and to enjoy life as it is.sometimes I get really depressed but now I am trying to be more optimistic. I will be back with the results next week, I still have two pills, I ll stop them for 7 days and then do the test again, I hope will be around 5-5.4 maximum, but with all the stress, I don t know, will gonna see..anyway, after 10 days I ll start the milurit again.for at least three months to see if I can get it under 4, and after I ll try only diet..and see what happens..is it a good plan.I don t know..I m just gonna try it and see. 1. along with your usual liver and kidney checks, check your haemoglobin and red cell count. If you have a genetic blood disorder (rapid breakdown of red blood cells) then your bilirubin will definitely be higher. You will also be able to tell if Milurit has affected these figures (if you have previous results to compare with as some doctors ignorantly only check UA levels). 2. Milurit dosing and prescribing follows a simple principle. If you want to continue eating and drinking what you eat and drink and you don’t want to worry too much about all this diet stuff (aside from maintaining a generally healthy diet) then Milurit, febuxostat, etc. are your only friend. You have no other choice. If however, your UA levels are slightly over 350ummol/l you can more then likely control everything with diet and loosing weight (if you need to) and not exposing yourself to cold temperatures. 3. If this pain is a result of gout then starting Milurit will more then likely cause a gout flare and without proper pain prevention or pain control it is going to hurt, there is no escape. Remember, when you lower UA levels, crystals will dissolve and break away and your immune system will react and this is what will cause the pain. Taking Milurit or not taking Milurit and running up the stairs or taking these long power walks will cause existing crystals to shuffle inside joints or break into smaller segments which again will cause gout flares. You need to prepare yourself for this. 4. I am around the same age as you and you have plenty of time to reverse any damage caused by gout. Don’t worry too much, you have options. I understand at that age your mindset is totally different but don’t worry, once it is under control you can return to that mindset. Take it easy pal. 5. Weed, I have no idea. It will probably dampen the pain while your “out of the zone” but as with all recreational drugs, you eventually come back to reality and that means retuning to the pain. A little searching on marijuana and gout on google brings up interesting results. 6. Depression is a clinical condition, amongst the first thing in rectifying this condition is digging down to the routes of what makes you unhappy. Have you established that yet? Don’t think about the issues, just list the issues on paper. Then its about targeted treatment. 7. Get your results, check the before and afters, see where you stand and where you want to stand then treat based on that. Trust me, there are far more serious and untreatable chronic/terminal illnesses in the world. Hi Keith, how can we start this structured help plan? today I finished the 20 pills of Milurit-100 mgs, and I m thinking to stop them for 7 8 days and retake the blood test. Also since I started the 20 days of Milurit I had at least 2 liters of water per days and significantly reduced the intake of meat, actually I have ate meat only for 5-6 meals ( small portion in the last month). As I said in my previous posts is that I lost 3 kgs at least and I am at -60 kgs now, and started to take some vitamins today and I also started to use to take some black currant leafs tea. (two cups per day) for few days now. In the last days I feel like my knees are a bit colder then usual, both of them. Next monday I ll retake the blood test. please tell me how we can start the plan. I stopped milurit on monday, as doctor prescribed me -to do a 10 days break after taking 20 days -100 mg per day. on monday I ate for lunch a chicken breast, and yesterday I ate a kfc menu..i couldn t resist. anyway today i feel my right foot a bit swollen. doesn t look like but i just feel it and when i press the area ( the ball in the sole) i feel some tingling. is the attack back? what do you think? I hope will be gone in the morning 😀 otherwise will be a nasty thing. and one more question, every sources I read, they say that the first attack dissapear in 10 days. 3 weeks..why mine is so long…? didn t end since 1st of may, slight pain from left . now in the right foot. I did today another blood test, the restults came fast, 4.7 ml/dl ( safe zone) after 20 days of Milurit-100 mg, monday was last pill, lot of water and diet. Dr said to wait few more days till I ll have -the 10 days break- and take another round of 20 pills. Any suggestions guys? I didn t start to take the new series of milirit for another 20 days..my docs doesn t reply…what do you think? We can’t replace your doctor. If for instance your doctor wanted you to do a blood test after the break from Milurit, you should get that test done before restarting the drug. If on the other hand your doctor only wanted to give your body a break from the drug, you could start taking it again witout delay. If you can’t get clear isntructions from your doctor, look for another one. nobody has answered your question spot on. Rich, you also need to ask yourself what you want from all of this. If you would have read the previous comment you would see that I ve done that test, the question was wheather to try to get the control for u.a level only by diet..anyway, you are right you can t replace the dr, no one can’t. Big toe woke me up in middle of night throbbing like a toothache. Lasted couple days then ankle became little sore for few days then extremely sore. Could barely walk on it and only if I didn’t bend my foot. Like a really bad sprain. It lasted 6 days. My uric acid level is 8 and now on allopurinol. However, with all this pain I have absolutely no swelling redness or heat of any kind. With my ankle one spot behind ankle little sore if I pushed on it but yet extreme pain if I tried to walk on it. Yes I’m afraid, very similar to my conditions. I also get it in the Knee. Keep up the allurpurinol, and change your diet. I get almost instant relief. I also wear compression socks when the attack is in the foot. Or strap my knee with the tubular banding. It sure sounds like a Gout Flare. With a Uric Acid at 8 mgs, even on Allopurinol, you are susceptible to Gout Flares. Gout can start in your Big Toe, or several toes, then spread to your ankles and progress higher if left untreated. Questions…How old are you, how long have you been on Allopurinol, and how many mgs are you taking? If you have just started on Allopurinol, this is a somewhat normal occurence. If you’ve been on Allopurinol for a while (over 3 months) and your Uric Acid is still at or above 8 mgs., you may need to up the dose of your medication. Of course, this will have to be done in conjunction with blood work and under the watchful eye of your doctor. Any doctor worth his/her salt would not up the mgs of Allopurinol without a full blood screening to make sure your kidneys and liver would be able to handle it. That’s why I ask how old you are. Anyway, your signs and symptoms sound like classic Gout. Use the Google custom search in the upper right corner to help you with Gout pain management. There are many helpful people on this site, and it’s without a doubt the best site on the Web in regards to Gout, Gout information, and Gout management. Not really. Swelling is common. But, it can be so slight as to be barely noticeable. Gout pain is an immune system reaction to uric acid crystals. And every gout sufferer has different reactions. As well as swelling, we often see redness, itching, and fever as symptoms of inflammation. So, it’s definitely gout. But, I’m concerned that your doctor hasn’t offered a few months of gout pain prevention therapy. I thought to make a small recap regarding my gout, to summarise it a bit as the last topic was hard to follow up. So it started it on 01.05.2017, since then I made 5 bood test for u.a level. 18.05: 5.9 mg/dl after this test I started Alopurinol 100 mg for 20 days. After finishing the 20 days pills I had two more tests. Anyway yesterday I felt for a short while 2 3 hours a slight pain in my both heels,left and right, also some pain in my right knee, and in the last 2 3 days also for minutes I felt a pain in my index fingers first left and after right..and left again..didn t last but there was some pain. Also pain in both feets under the big toe still there. Being scared by the last two days I started to take again Alopurinol 100 mgs. What do you think?why do I have pain in so many places..? Do you have any idea how much can u.a level fluctuate from one day to another in the same diet conditions ? For instance if my last result was 4.3 can u.a lvl to raise over 6 so that new cristal can form..? I gave up totally to alcohol since started to have this issue and also very very small quantities of meat. I present you my data so that others can read and find similarities or learn something from that. Uric acid in the blood can fluctuate a lot. I have had results between 5.3 and 8 while on a similar diet when I wasn’t taking allopurinol or similar drugs. My average test result was 6.6 which is high enough for crystals to be a problem, especially since I evidently had old crystals from the years when my uric acid always tested above 8. But your results look different: they are consistently low. A few crystals might occasionally form (for instance after physical exercise) but it shouldn’t matter because any new crystals should dissolve quickly considering the average of your test results. And if you had many old crystals, I think you would see more fluctuations in your test results. I guess you could still have a few old crystals in various locations. Lowering your uric acid with allopurniol may have destablized them, causing pain. I felt temporary discomfort in many locations when my uric acid fell under 5. If you are often out in the cold or have cold joints because of poor blood circulation, crystals can form even if your uric acid is relatively low. There is also evidence that the amount of ferritin in your blood affects uric acid crystallization. From my understanding, Allopurino is not taken as a pain relief, but instead it’s a Uric acid lowering drug. So, in your case of taking 20 days then stopped, then when you feel pain you take it again is not quite the correct way. Allopurino needs to be taken for at least 6 months if you have no sign of gout attack in this time & can maintain a “safe” uric acid level. The seemingly long time in taking Allopurino is for the old uric acid crystal to dissolve (actually very slow). Else, you’ll be in Keith’s term “Gout Hell” where gout will always come & go but is never completely cured. Hope this helps you a little & definitely you have to talk to your doctor to get a better treatment plan. Hey Cindy, I didn t take it for pain, pain at this point is supportable, I take it because I am affraid of high fluctuations, although think it might be ok only by diet, still affraid of fluctuations. That s why I m gonna try to take it for a while to try to disolve all old crystals and after to have blood test at least twice a month to see what happens. I don t know ia just my approach, for now I don t have a dr to consult as I just moved in a foreign country.